LARGE Infrared Propane Grill with additional griddle for Lakeside Motel use. Indian Trail Resort is one of the few resorts that still offers private room accommodations in what we call our “Lakeside Motel/Bunkhouse.” Our unique northwoods motel offers seven single rooms, one double room, one large Loft room, a common bathroom at the end of the hall, and a front sitting room where guests can either relax and read a fishing magazine or swap fishing tales with fellow anglers. For our guests’ convenience, the Bunkhouse also has a spacious private shower with shampoo & body wash provided, a microwave, coffee maker, toaster, cutting boards, paper plates, plastic silverware and a full size refrigerator/freezer, however, bring your own towels, pots & pans and a coffee mug. As far as cooking your meals goes: in a nice spot overlooking the lake, we have two picnic tables, a large barbecue grill and a large infrared gas grill with a griddle reserved for the exclusive use of our Bunkhouse patrons. So feel free to bring your own steaks, brats, burgers, or chicken to create your own lakeside feast! We have a full bar with bar snacks, delicious pizzas, ice and bait. In addition to that, there are several restaurants that have great food and reasonable prices that are located within five to ten minutes of the resort. Our newly remodeled Loft with two twin beds. 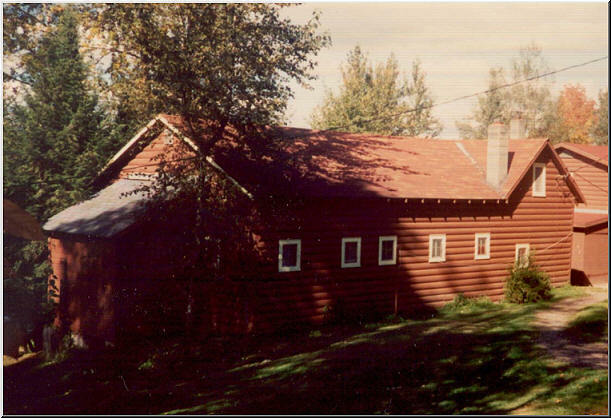 The Bunkhouse is the perfect place to start a family fishing tradition and make memories that will last a lifetime. Besides anglers, we welcome canoeists, kayakers, photographers, bird watchers, star gazers, and anyone else who just plain enjoys the outdoors. 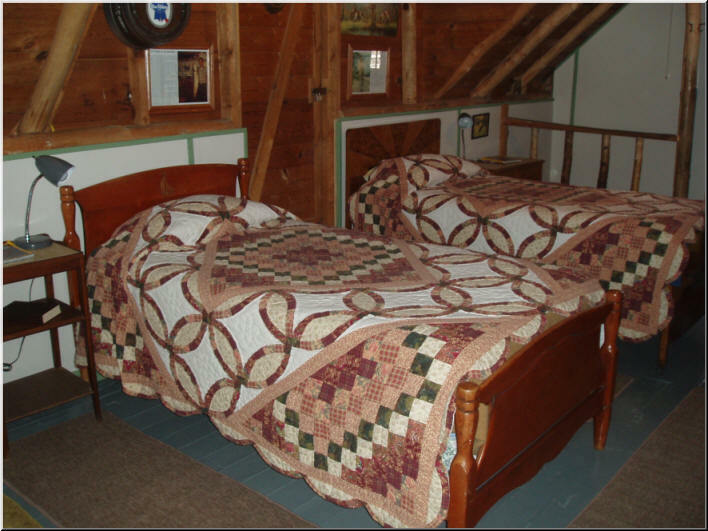 In our Bunkhouse, be sure to ask about the availability of the Loft, a spacious room that is located - all by itself - on the second floor of the Bunkhouse. Providing guests with a fine overlook of the waters of the Chippewa Flowage, two or three twin beds or a king bed, a comfortable couch, a table and stools, dresser, a small refrigerator, microwave, and a coffee maker. The Loft is also available to couples or females who would like an inexpensive but comfortable get-a-way on a nightly basis. For women lodgers in the Loft, private bathroom/shower facilities are also available in a nearby building if preferred. Rates for the Loft are only $46/night/person. Click Here For A List Of What Is Provided & What You Should Bring!!! 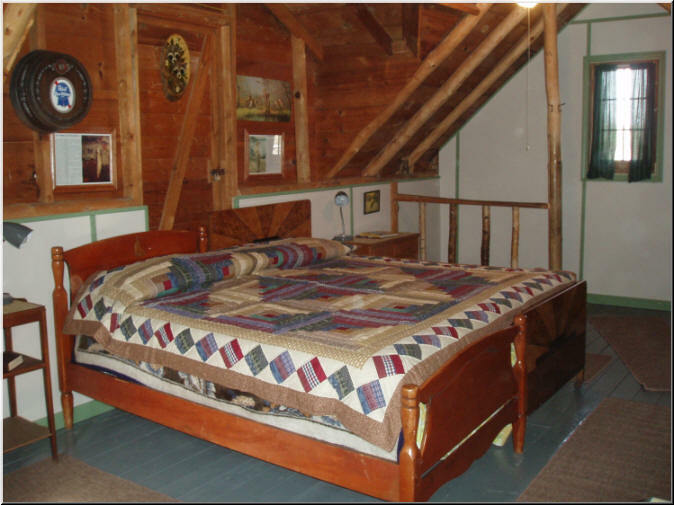 "On special request for couples, we can set up a comfortable, king sized bed in the Loft." All other rooms are only $43/night per person, and with a week’s stay for all lodgers in the bunkhouse, we offer either a free 14’ boat or $50 off on one of our larger boat/motor packages. Clean, comfortable, simple, and reasonably priced, the rooms at Indian Trail’s Bunkhouse provide anglers and visitors alike with a quick, affordable get-a-way that they surely will not forget. Whether you are only up for a day, the weekend, or have a week or two to spend, Indian Trail Resort is pleased to welcome you as our guest.